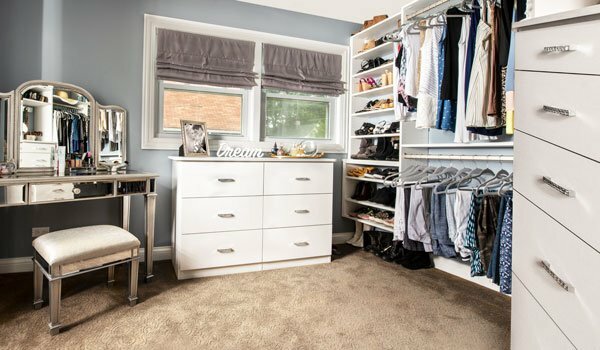 A walk in closet can be a part of any room in the house, but is often the "crown jewel" of the bedroom, second only to a glamorous en suite. 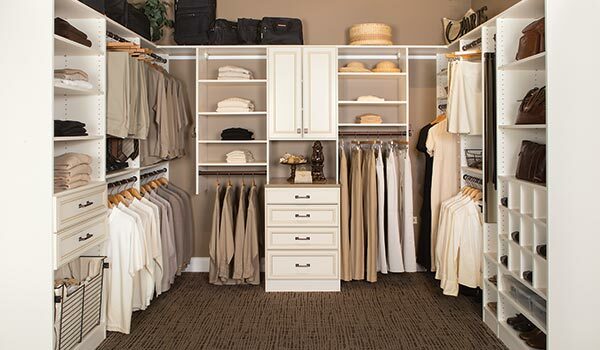 Although not all walk in closets are huge, the advantages to having one can be, and are not limited to just extra storage. 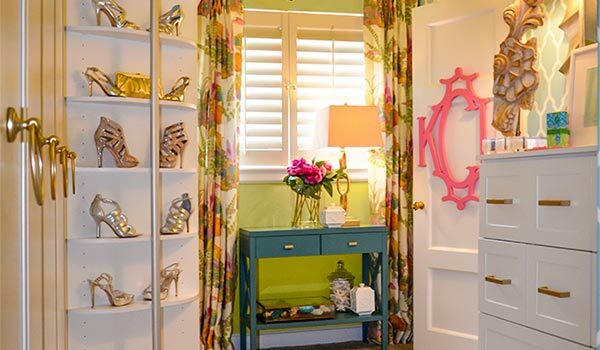 A beautiful walk in closet can even add value to a home. 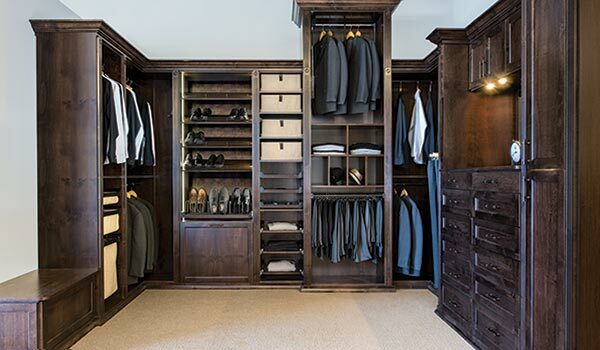 Many homeowners like to use a luxury walk in closet as a dressing room — it becomes a place to begin and end their busy day. 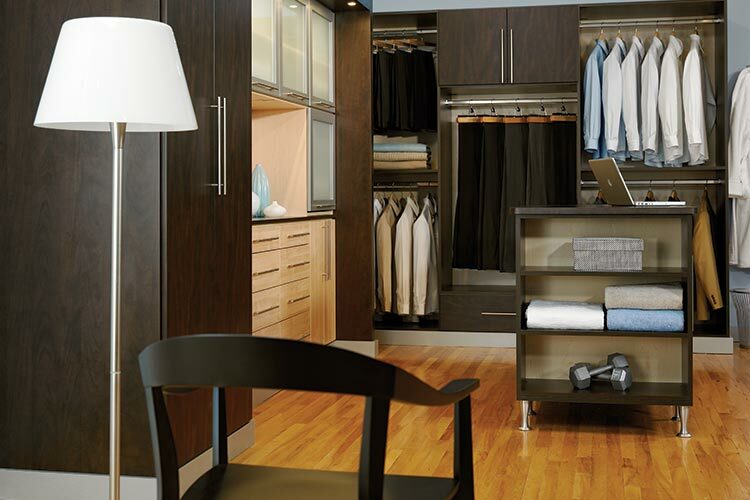 Custom organization and amenities abound in these personal spaces. 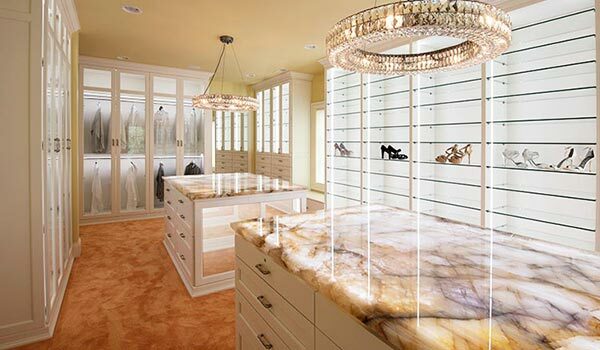 The first and most obvious rule of designing a luxury closet is to include walk in closet organizers that provide sufficient space for organizing and storing the clothes, bags, shoes, and other accessories. There are a multitude of professional techniques for bringing out the most in any space, no matter what its size, configuration or special challenges — such as sloped ceilings or slanted walls. The style and appearance of the room is limited only by imagination, and these spaces can truly become a work of art under the guidance of a skillful designer.